Differentiation and Positioning are the last steps of the marketing strategy. We will now look at the process of differentiating in more detail. In order to achieve a strong position in the segment the company has chosen, it has to find ways to set itself apart. But how do we do this? How to set the Company, Brand or Product apart? Differentiation. Thus, we have to deal with competitive advantages. In other terms, each firm must differentiate itself and its offer by building a unique bundle of benefits, which makes it different from competing offerings. This bundle of benefits should appeal to a substantial group within the chosen and targeted segment. You see that by means of this differentiation, the right position in customers’ minds can be achieved, leading to a strong correlation of differentiation and positioning. The firm must differentiate itself by identifying possible value differences and competitive advantages and then choosing the right ones. But what can be a competitive advantage? In effect, a competitive advantage is a value difference between the offers of one company as opposed to competing offers on the market. Therefore, we have to understand customer needs better than our competitors do and simply deliver more customer value. The extent to which we can differentiate ourselves from competing offers is called competitive advantage. Thus, the definition of competitive advantage is: an advantage over competitors gained by offering greater customer value. More customer value can be provided by offering either lower prices or by providing more benefits which justify higher prices. However, you will see that having identified competitive advantages and even promoting them is far from sufficient. The important thing is to live the competitive advantage, to live the differentiation. This is to say that if you want to differentiate you offer on basis of lower prices, then you have to deliver this promised difference. In what way can a company differentiate itself from competitors? To find that out, you should adopt a customer’s perspective. In fact, a company can differentiate itself on basis of the product, services, channels, people or image. Product Differentiation refers to differentiating the market offer based on features, performance, style or design. A sandwich-maker could differentiate itself by offering healthy, low-fat products. A car manufacturer might use extremely large engine as a point of differentiation. Thus, your product is better, faster, cheaper, healthier, greener etc. Service Differentiation is based on aspects such as speedy or careful delivery, opening hours, customer care etc. Thus, the service is differentiated. For instance, an airline could differentiate itself by means of extraordinary customer care and very attentive and graceful stewardesses. This type of differentiation may then become experience differentiation. A firm can also gain competitive advantage by channel differentiation. This means that the firm differentiates itself by differentiating their channel’s coverage, expertise and performance. So how does the firm get goods to the customer? It might be through a smooth-functioning, speedy direct channel. 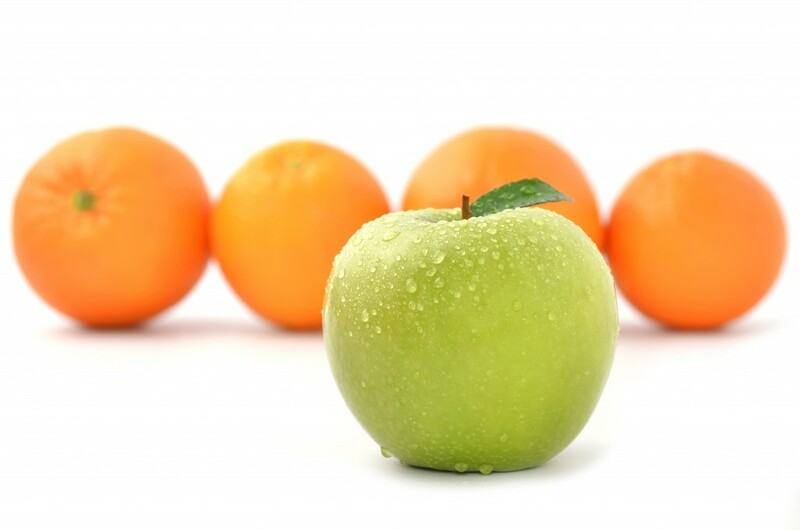 Companies can also differentiate themselves by people differentiation. People differentiation means nothing else than hiring and training better people than competitors do. Staff can be more friendly, competent, courteous etc. Certainly, this mainly appeals to customer contact staff. Image Differentiation refers to the image a company or a brand has in consumers’ minds. The development of a strong and distinctive image requires creativity and a lot of work. Only over a long period, an image in consumers’ minds can be attained. If you want to differentiate your company by high quality, this image must be supported by absolutely everything your company does. An aid for image differentiation are symbols, such as the Nike swoosh or Apple’s logo. These provide a strong brand recognition and thereby contribute to image differentiation. Also, famous persons may be of help. For instance, H&M built a brand around a famous person, David Beckham, to develop its image differentiation. The chosen symbols, characters or other elements such as colour associated with a brand must be promoted and communicated through advertising. Image differentiation may be the hardest form of differentiating a company. However, there is also no stronger type of differentiation. The company has to build a personality around a brand that everybody knows and immediately thinks of. If we have found one or several potential points of differentiation which provide competitive advantage, we must now choose the right ones. Because on these differentiation points and competitive advantages it will build its positioning strategy. But which competitive advantages are the right ones? And how many should be promoted? You might think that it would be best to promote every single differentiation point you can find for the company. Doing that would not be wise. In fact, companies should focus on only one benefit, the most important one, to promote to the target market. In other terms, a company should develop a Unique Selling Proposition (USP) for each brand and stick to that USP. Why is that important? A brand should choose one attribute and tout itself as the number one on that attribute. Trying to be promote every difference is far less effective, since buyers will be better able to remember one outstanding difference for which you brand stands. In addition, the company could risk disbelief and a loss of their clear position in consumers’ minds if it promoted too many differences. Certainly, Burger King is special in many ways. It could differentiate itself on more than one aspect. Yet, it follows the Unique Selling Proposition theory: It promotes personal choice as a competitive advantage: “Have it your way”. However, if several firms claim to be best at one and the same attribute, the concept may not hold. Then, choosing more than one differentiation attributes, thus several competitive advantages may be the wisest option. Important: The difference can deliver a real benefit to target buyers. Distinctive: Competitors do not offer the difference, or you do it in a better way. Communicable: You can communicate the difference to buyers and it is visible. Superior: The difference you offer is superior to other ways that a buyer might get the same benefit. Affordable: A buyer can afford to pay for the difference. The added price must be reasonable and worthy to pay for. Profitable: The difference can be introduced profitably. Pre-emptive: The difference is hard to copy by competitors. It may be difficult and tempting to find competitive advantages and differences that meet all these criteria. But a company should try to find one on which its position can be built. That is simply crucial to success. As you see, positioning is based on the differences we found. If the difference is that you can offer cheap products, you should obtain that position in consumers’ minds. Learn how to position the product.